Vegan diets are kinder to the environment and to farm animals, but is it healthy to restrict a dog exclusively to veganism? Before considering a vegan diet for your best friend, it is important to understand the potential benefits and drawbacks. 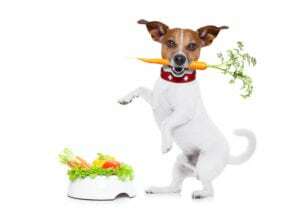 Regardless of the diet you feed your dog, experts stress the importance of consulting with a veterinarian to tailor a diet plan that fulfills the individual nutritional needs of your pet. This is especially important if your dog is a puppy or senior, or is pregnant, is lactating, or has a health condition. Cats should never be given a vegan diet. However, finding a diet that’s carefully balanced—especially one that’s vegan—is not straightforward. “We need to make sure they get the right amount of proteins and essential amino acids, which are the building blocks of protein,” says Dr Weeth. Some vegan diets may lack necessary amino acids—like taurine and L-carnitine—typically found in meat. A lack of these nutrients can lead to medical conditions like heart disease. “It is actually very difficult to feed a dog a vegan diet due to the lack of some essential amino acids. These have to be supplemented and it can be very expensive,” says Dr Ingrid de Wet, veterinarian at Country Animal Clinic. “I had one client that did it and it cost her an arm and a leg just for the supplements”. Vets look at biological value (BV), a measurement used to determine the efficiency of a particular protein. For example, “An egg has a very high BV. It has all of the essential amino acids that are required for a growing animal because it’s an egg, and it’s designed to support a growing foetus,” Dr. Weeth says. A seed, nut or grain, on the other hand, doesn’t have as high a BV; its amino acid profile isn’t as complete as that of an egg. “So we need to look at the type of protein, the quality of protein, as well as the amount,” she says. However, it is possible to combine different plant proteins so that all of the dog’s amino acid requirements are met. 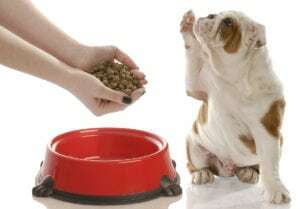 Another issue with plant proteins is that they tend to be less digestible for dogs than animal proteins. Soy, for example, is metabolised differently to chicken or beef and so we need to make sure that plant-based proteins are digestible and the animal is able to utilise them. Otherwise we can run into problems, especially with pregnant dogs, lactating dogs or growing dogs. If you do put your dog on a vegan diet (after consulting with your vet), there are several things to be aware of. For one, plant-based proteins tend to make urine more alkaline, says Dr. Weeth. If you switch completely to a vegan diet and it’s a kind of moderate-level protein and they’re not adding any urinary acidifiers, it can put the dog at risk for kidney stones. Changes in your dog’s coat may mean she’s not getting sufficient essential fatty acids. “Is the coat glossy or is it starting to get a little bit dull and scruffy looking? Are they getting skin flakes? That’s something that people don’t always associate with a diet change because it can take two to three months to show up,” says Dr. Weeth. If you notice any changes, talk to your vet. At your dog’s annual wellness exam, your vet will do blood work and a urinalysis to make sure the food is getting digested and absorbed the way it should. Given that diets for dogs need to be carefully balanced, vets recommend against homemade vegan diets. Always first talk to your vet before changing your pet’s food. The most important factor of any diet—whether vegan or traditional—is that it’s balanced and fulfills your dog’s nutritional needs.